Today I (Quiz) would like to call Out of the Campfire and into the Arctic. What a strange few days we have had, Mushy leaving 😭, the smoke finally clearing yesterday arvo only to have rain and cloud shroud us for all of today. No views for Quiz and Turkey D, poo! 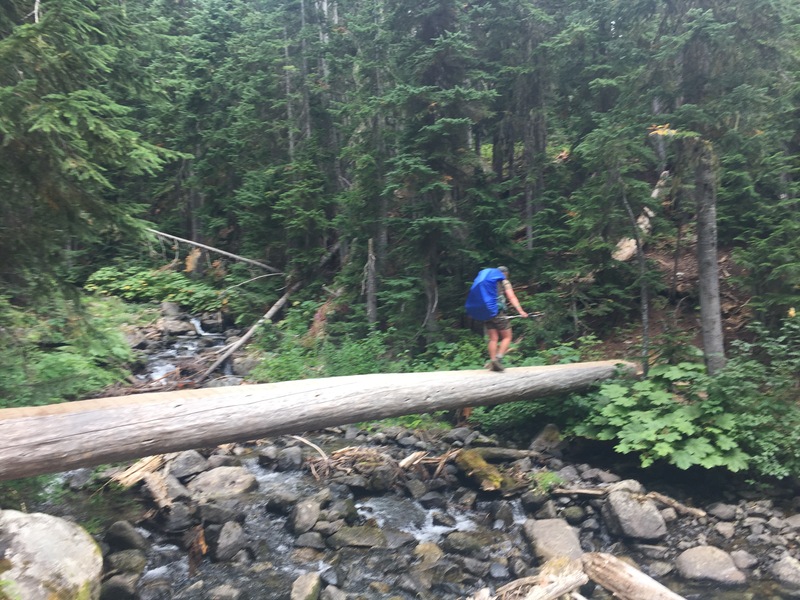 Today we climbed 5000ft all day long, we literally only went downhill for the last mile. I woke to rain pattering the tent at 5am and it continued off and on building intensity in the afternoon. We set out following Bridge Creek upstream, at our second crossing of the creek we stopped for coffee and were passed by the kidney stone gang. Catalyst came by a but later and stopped to brush her teeth, after a teeth brushing party we all continued on up the valley. Turkey D was in the lead and I was walking as quickly as I could to keep up with Catalyst as she is great to talk to! We chatted queer culture and politics and books and before I realised it we had walked 8 miles, bonus! 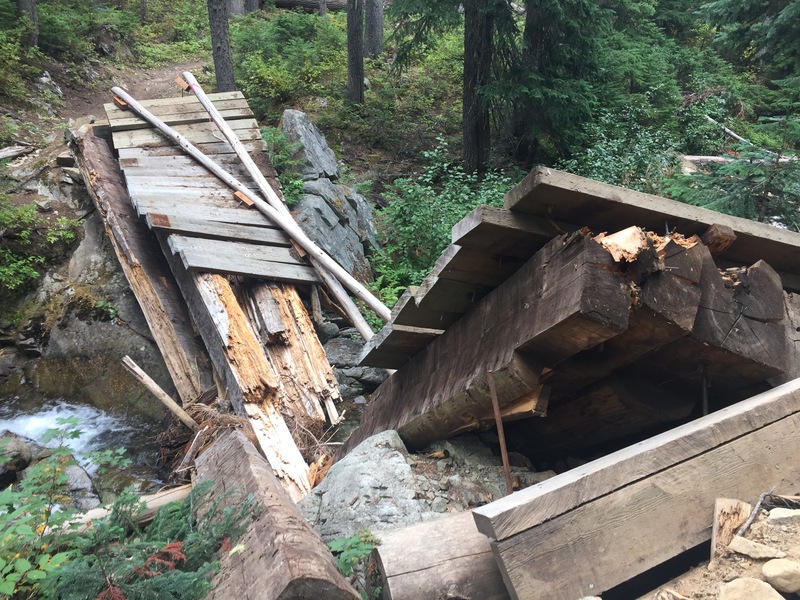 While Turkey D and I stopped for a break and water filter we were told of trail magic at Rainy Pass. Needless to say our break was brief. 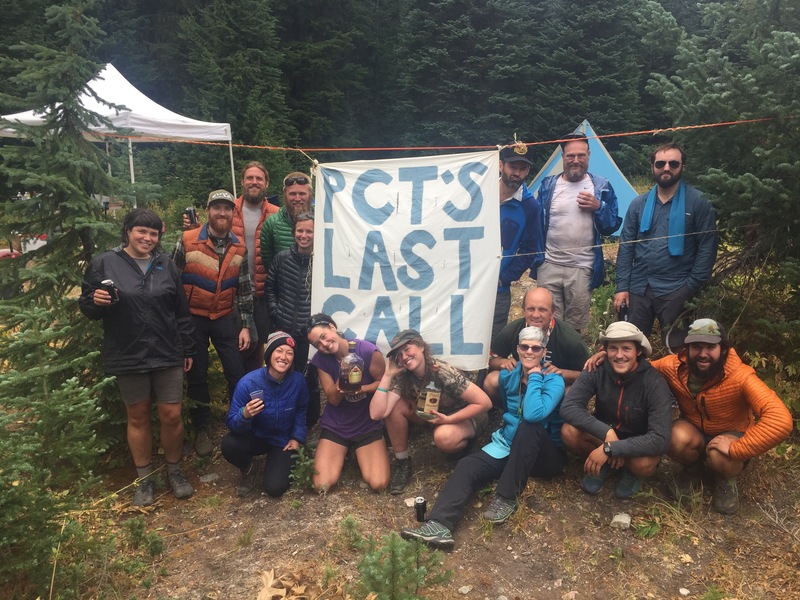 We hot footed it another few miles and arrived to one of the best trail magics of the trail – ‘PCTs Last Call’. It was excellent for 2 reasons, The Animal and STP (Stop to Piss) were great hosts and characters and were really engaging to talk to, they had also supplied heaps of food and beer! We ate hamburgers and pulled pork croissants, oranges, mandarins, chips and got drunk off 2 beers and a shot of whiskey. Secondly it was excellent because all the kidney stone crew and Catalyst and a few other hikers were there, they cheered us on arrival and then we all sat about in chairs (I know I have mentioned my love of chairs before) and entertained eachother. We stayed 2.5hrs it was so good. 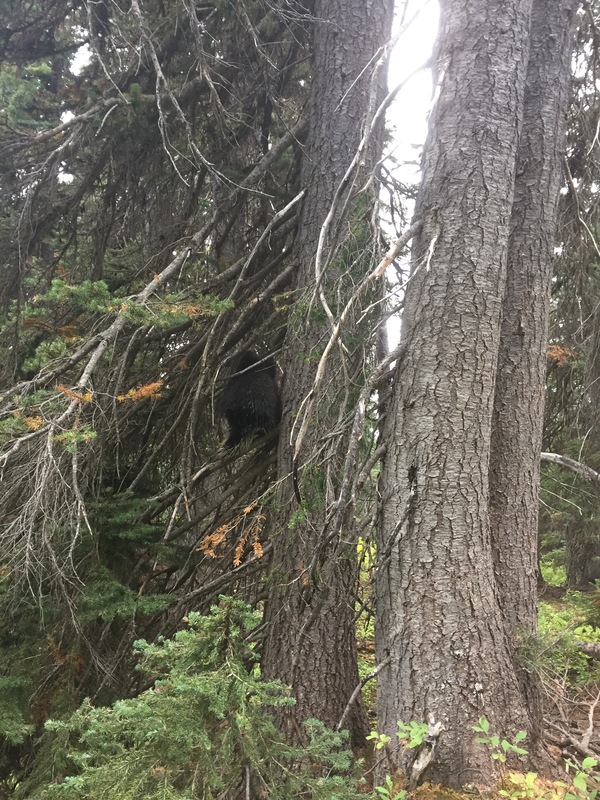 But keep climbing we must so Turkey D and I tipsily crossed the highway, used the dunny and continued up. 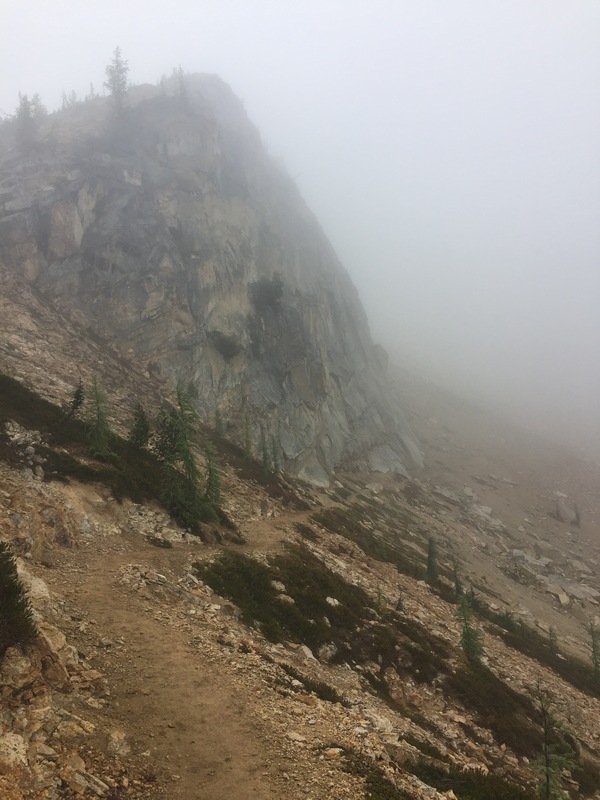 We hiked from a light misty rain into cloud and proper rain. 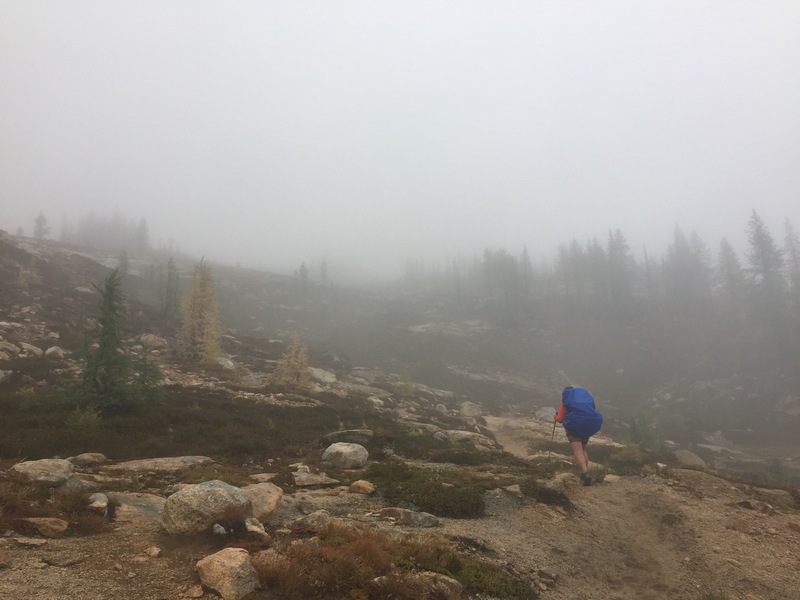 The trees dropped away and we found ourselves atop Cutthroat Pass, a white windy place where huge pillars of rock occasionally loomed out of the mist. Usually I quite like such atmosphere but today I couldn’t help wishing for views after so much smoke. Oh well at least this rain will be helping with the fires and will probably give us a better chance of making it to the boarder. We are camped in a sheltered spot on a steep ridge, we can hear the wind howling but it’s not touching us here. I cooked from bed and we are warm and dry and cozy. 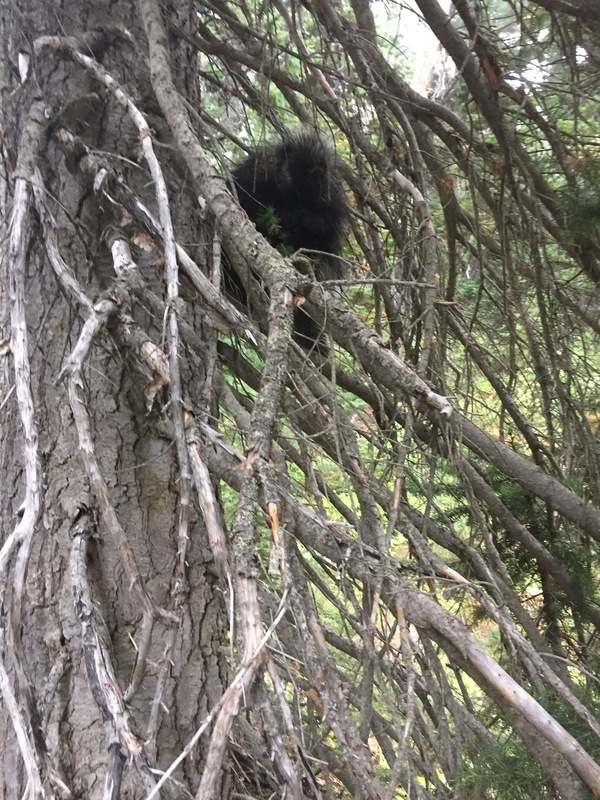 Oh I almost forgot to say we saw a porcupine today! Turkey D disturbed it while it was poking around a log and it ran up a tree. When I came along it was eye level with us and we spent ages staring into its face. I though it had the face of a rabbit crossed with a Labrador but TD though it looked like an alien. 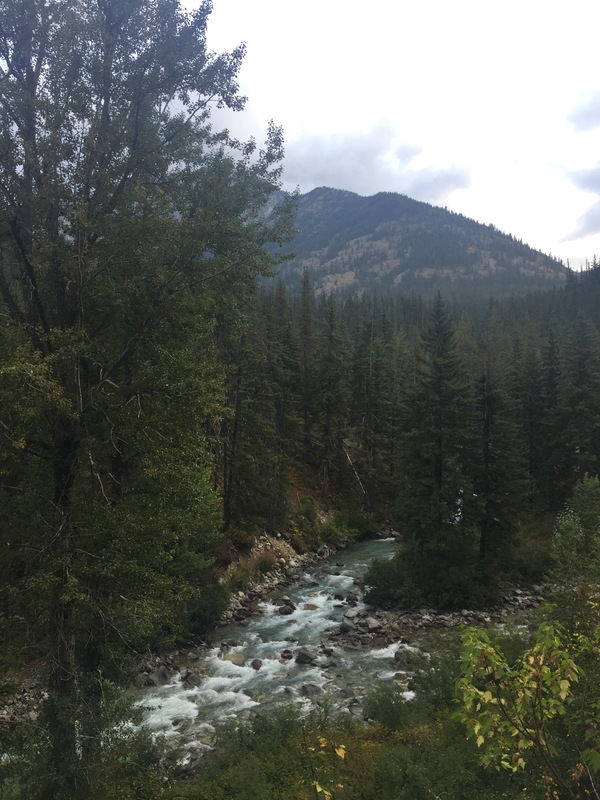 This entry was posted in PCT Week 21 and tagged #bushwalking, #bushwalkingbabes, #girlswhohike, #hiking, #pacificcresttrail, #pct, #pct17, #pcta, #PCTgirlgang, #queerhikers, #supportyourlocalgirlgangs, hikertrash, PCT2017, pctthruhiker, thruhikers. Bookmark the permalink.